FURIOUS Tory Brexiteers demanded Theresa May instantly quit in face-to-face clashes in parliament. 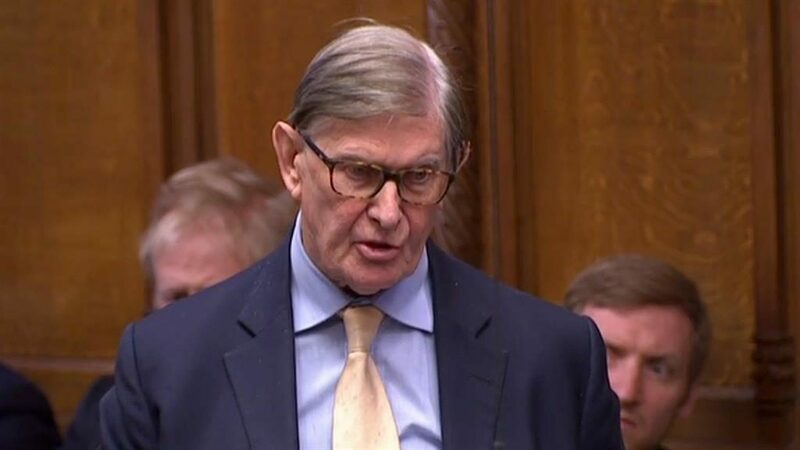 Veteran eurosceptic MP Sir Bill Cash insisted the prime minister should go, accusing her of an ‘abject surrender’ to Brussels — a jibe met with laughter in the Commons from Mrs May. Backbenchers have been infuriated not only by the PM trying to push through a Brexit deal they deem not tough enough but also by suggestions from Conservative Central Office that they expect to hold and contest European Parliament elections starting on May 23. Sir Bill, chairman of the Commons European scrutiny committee, asked whether she understood what he termed the ‘anger’ across Britain. And she insisted she had voted for Britain to leave the EU on March 29 and May 22. But she faced further opposition from her own side, with hardline pro-Brexit Tory backbencher Mark Francois accusing her of ‘sheer obstinacy’ in agreeing to another extension of Article 50. Tory MP John Baron urged Mrs May to ‘show more confidence’ and commit to MPs that Britain would leave the EU on World Trade Organization terms should Parliament keep blocking a deal.